Alejandro Morales and Eduardo Porta first met on the playground at the Sierra Nevada school in Mexico City, when they were six years old. The two friends have been close ever since. Growing up in DF, they experienced the problems associated with the city’s gridlocked transportation systems: traffic, noise, pollution and parking issues. While stopping one day to watch the swirling smoke, machinery and concrete at a construction site, Alejandro reflected on his impact to Mexican society. Was there an opportunity for his work to improve society and the environment? Several years later, Alejandro and Eduardo entered postgraduate studies in environmental sustainability at University College London and the University of Cambridge, respectively. After many late-night study sessions, the two friends resolved to start a company to address DF’s transportation problems. “Approximately 5% of Mexico City’s GDP is negatively affected by traffic congestion,” says Alejandro. Together, they would build a responsible company which would generate strong social and financial returns. They also analyzed comparable situations such as Spain’s initiatives to build electric vehicle infrastructure for cars and scooters. 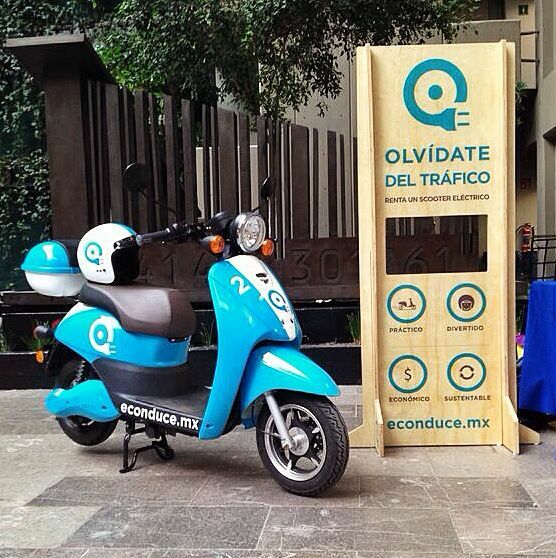 In DF, they observed an increased number of motorcycles on city streets, an indicator that people were seeking alternative solutions to traffic congestion. 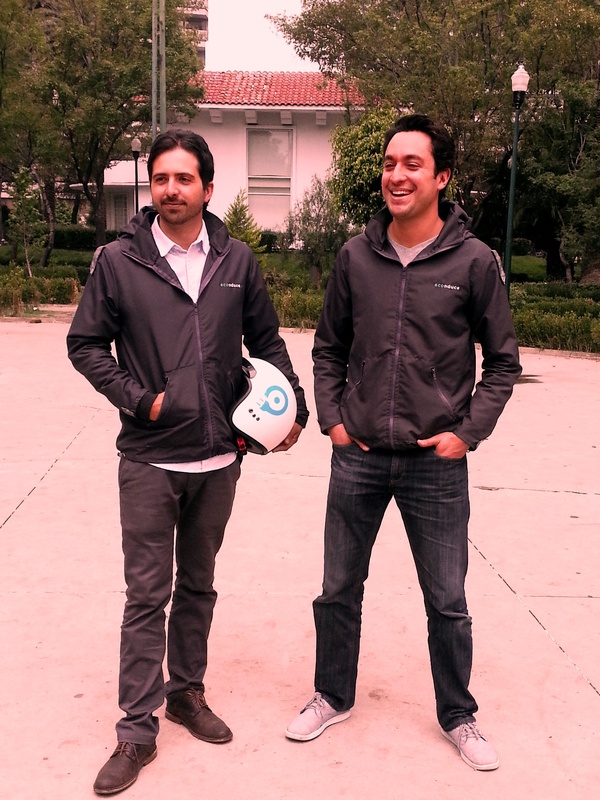 Following their research, Alejandro and Eduardo founded Econduce, a sustainable urban transportation company based on collaborative consumption, mobile technology and low-carbon infrastructure. To continue with this endeavor, they raised $700,000 pesos as a convertible note from friends and family. Subsequently, they obtained further funds from Instituto Nacional del Emprendedor, a governmental initiative to support entrepreneurship. As a next step, they decided to test market interest in a concept involving shared electric scooters. Consistent with lean startup principles, Alejandro and Eduardo built a website which generated over 13% conversion to email from prospective customers. Next, they ordered eight electric scooters from Chinese manufacturers and started testing these models with friends and family. Currently in the MVP stage, Alejandro and Eduardo are now testing Econduce with their first paying customers. From the MVP, they plan to validate their assumptions regarding the pricing model, number and locations of charging stations, staffing levels, and more. While the two friends have a compelling vision for DF, they are also open to new opportunities involving the business model, customers and cities. Thank you Alejandro and Eduardo, for sharing your story. All the best with your venture, the world needs you! p.s. Also, a warm thank-you to Luis Barrios at ThePoolMX for the introduction to Econduce. Reblogged this on sustainable thoughts. very cool, thank you eduardo!